Moving to La Jolla, California? Thinking of moving to La Jolla? Some cities are the embodiment of luxury, and La Jolla, California is no exception. La Jolla is a paradise for both the traveler and the resident. Sitting just north of coastal San Diego, it offers a breathtaking coastline with heart-stopping views. Add to this natural beauty a world-class village, designer shopping and boutiques, fine dining and lodging, a top-ranked university (UCSD) and medical school along with a climate that is arguably the best on earth and you have The Jewel, or La Jolla as Spaniards once called it. Undoubtedly, La Jolla real estate is expensive and luxury buyers from all over the world would like to own some of their own. And with the declining dollar, more and more foreign buyers are considering La Jolla a prime real estate target. With a population standing at around 35,000, there is a strong sense of community pride and connection with the outdoors, which averages an annual balmy 74 degrees. 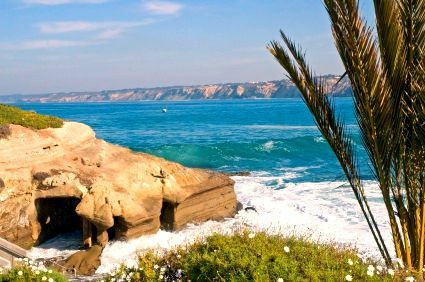 La Jolla beaches are some of the most exquisite in the world, and range from the ever-beautiful and seal-populated La Jolla Cove, to the craggy cliffs at Blacks Beach, the sandy expanses at La Jolla Shores and the tide pools and surfing at Windansea. All offer stunning beauty and year-round photographic opportunities. La Jolla real estate prices stood at a median of $663,000 in 2000-and have since mushroomed to over $1.4 million median, with average prices for a La Jolla single family home standing at over $1.8 million as of April 1, 2007–and likely even more today. What about day-to-day living in La Jolla for residents? Its a university town, its a world class destination, and its a certain heaven for local residents. PANORAMIC VIEWS in coveted Muirlands La Jolla! Best Priced Ocean View.This 3 bd/ba, mid-century modern style home, sits atop a large elevated lot w/Southern exposure & ocean views from all rooms incl. front/back yard & decks.Sparkling pool & spa, large backyard w/loads of growth potential.Possibly the last opportunity to purchase a Muirlands view property for a great price! Quick 15-minute walk to Bird Rock thru designated private pathway. W/dynamic views & quiet streets this community is the place to be! VR $1,249,000-$1,289,000. Amazing location across the street from Kellogg Park & La Jolla Shores beach. Rare 2 parking spaces! Remodel completed just over 1 year ago! Modern kitchen with stainless steel appliances and tile backsplash with granite countertops. 2 bed plus a den converted to optional 3rd bedroom with closet. Rare 2 parking spaces PLUS extra storage unit in the garage! Home is offered fully furnished at no additional charge! W/D in unit plus plus Pool/Spa, Tennis Courts Gym. Rec Room, BBQs. RARE Single Level beautiful end unit, town home in high demand La Jolla location - featuring vaulted living room ceilings, and well maintained private zen like backyard. Unit is perfect for a family is walking distance to UCSD campus, restaurants and shopping. Unit is currently occupied by tenant. Back on market / no fault of property. West of La Jolla Shores Dr. The Little Blue House In the Shores is available now for the first time in over 40 years. Enjoy a leisurely walk of 4-5 minutes to La Jolla Shores Beach as well as the many restaurants and shops that the Shores community has to offer. Home sits on a corner lot and has a large backyard patio and yard for entertaining. An oversize fireplace in the living room. Owner Occupied 40+ years. Based on information from California Regional Multiple Listing Service, Inc. as of April 22, 2019 08:50 and/or other sources. All data, including all measurements and calculations of area, is obtained from various sources and has not been, and will not be, verified by broker or MLS. All information should be independently reviewed and verified for accuracy. Properties may or may not be listed by the office/agent presenting the information.